Upon entering the Historical Tapoco Lodge, you will immediately sense its inviting, cozy, and warm atmosphere. With lodging options from lodge rooms, suites, and cabins, each detail has been passionately chosen and each room is unique in its own way. Nightly accommodations include daily housekeeping, access to our 24-hour guest services attendants, nightly bonfires, tennis courts, a hammock cove, and access to miles of private hiking trails. 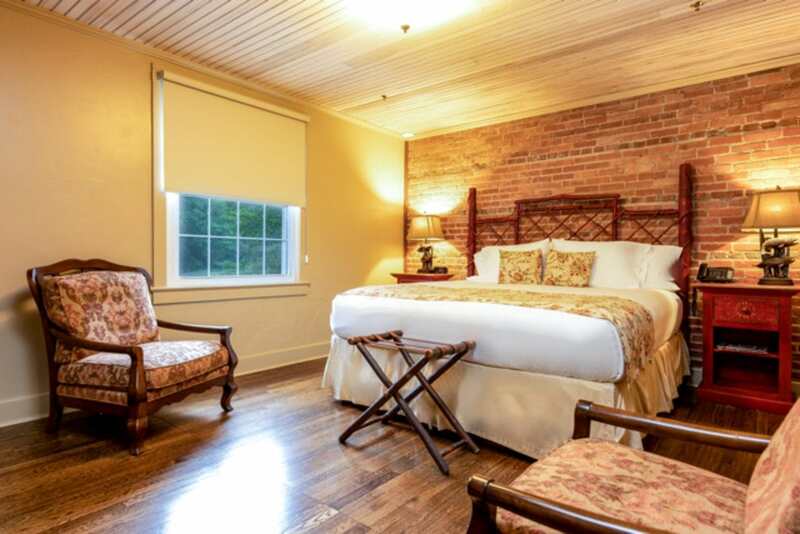 Historic Tapoco Lodge features three spacious suites with private bedroom, large private bath, and separate sitting area. 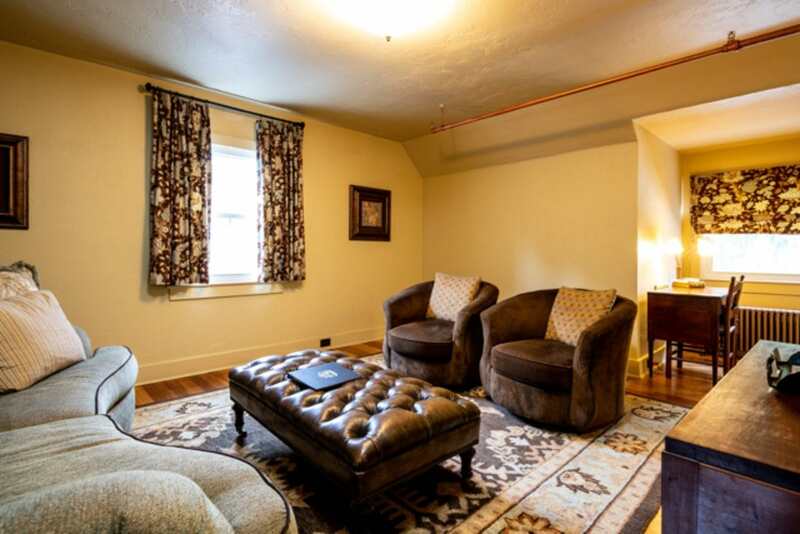 The three suites have a spacious bedroom with comfortable seating. All suites have an extra large bath with walk-in shower and hot tub. Please note that Lodge Suites do not have televisions. Our luxurious Tapoco Lodge Rooms combine the elegance of days gone by with the comforts of today. With rooms featuring views of either the rushing Cheoah River or the Yellowhammer Mountains, it is just the environment to truly relax and indulge. Each room features a unique regional theme along with a plush King bed. Please note that Lodge Rooms do not have televisions. 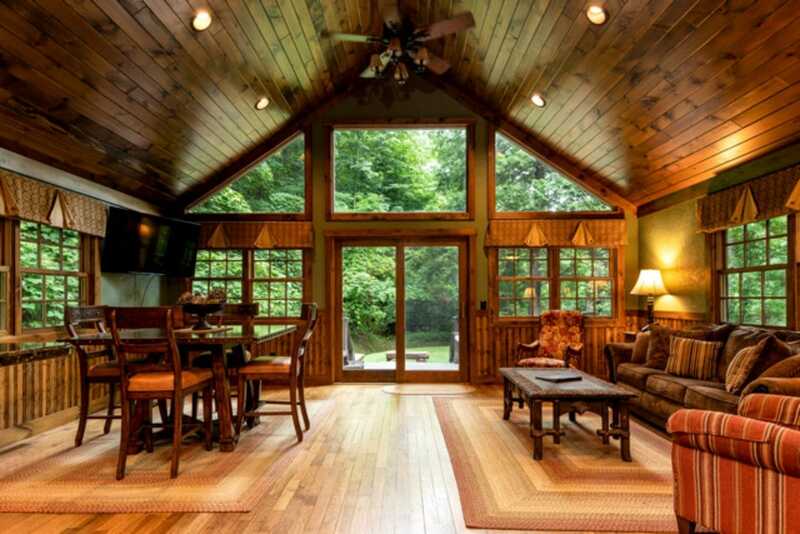 Each of the cabins at Tapoco offers different, yet beautiful views of the Cheoah River, Cheoah Bluffs, Meadow Branch, Yellowhammer Creek and the Yellowhammer Mountains.